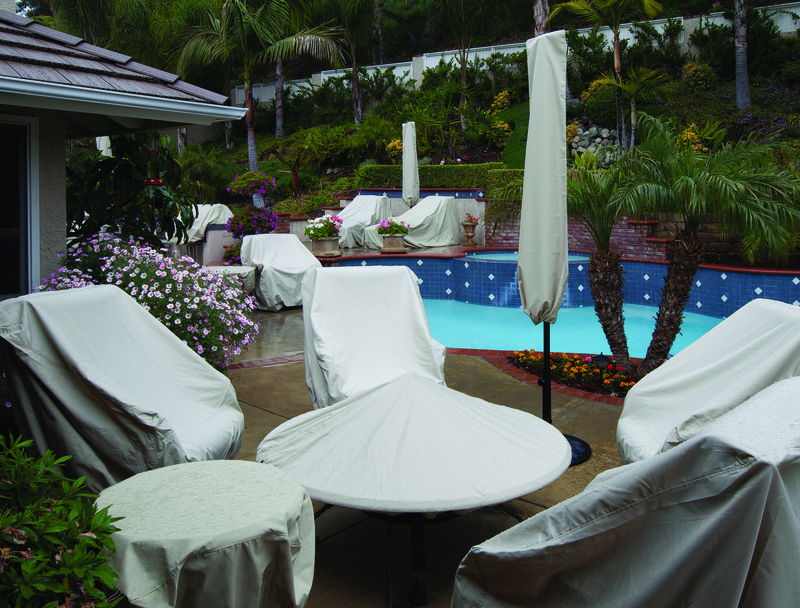 Protective furniture covers are available for a wide variety of products, including: umbrellas, lounge chairs, sofas, chaise lounges, dining sets, and firetables. Tough, durable “Rhinoweave” furniture covers are made from Treasure Garden’s exclusively designed fabric that are both durable and breathable, water resistant, and will not crack or peel like vinyl. Rhinoweave covers are also soft so they won’t scratch your furniture and features a spring-loaded cinch that locks to keep the covers snug on your furniture all winter long.